Nine people infected with the outbreak strain of Shiga toxin-producing Escherichia coli O157 (STEC O157) have been reported from two states: Minnesota (7) and Wisconsin (2). Two ill people have been hospitalized. No one has developed hemolytic uremic syndrome, a type of kidney failure, and no deaths have been reported. Collaborative investigative efforts of state, local, and federal public health and regulatory officials indicate that alfalfa sprouts produced by Jack & The Green Sprouts of River Falls, Wisconsin are a likely source of this outbreak. These sprouts may be contaminated with STECO157 and are not safe to eat. Of the eight people interviewed, all eight (100%) ill people reported eating or maybe eating alfalfa sprouts or menu items containing alfalfa sprouts in the week before they became ill.
State and local health and regulatory officials performed traceback investigations from seven different locations where ill people ate or bought alfalfa sprouts. These investigations indicated that Jack & The Green Sprouts supplied alfalfa sprouts to all seven locations. We recommend that consumers do not eat and restaurants and other retailers do not sell or serve alfalfa sprouts produced by Jack & The Green Sprouts at this time. 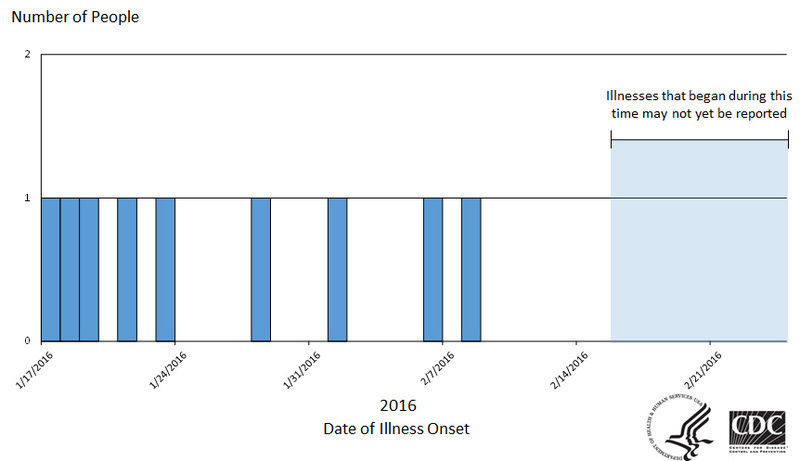 This outbreak does not appear to be related to the ongoing multistate outbreak of Salmonella Muenchen infections linked to alfalfa sprouts produced by Sweetwater Farms of Inman, Kansas. This investigation is ongoing, and we will update the public when more information becomes available.